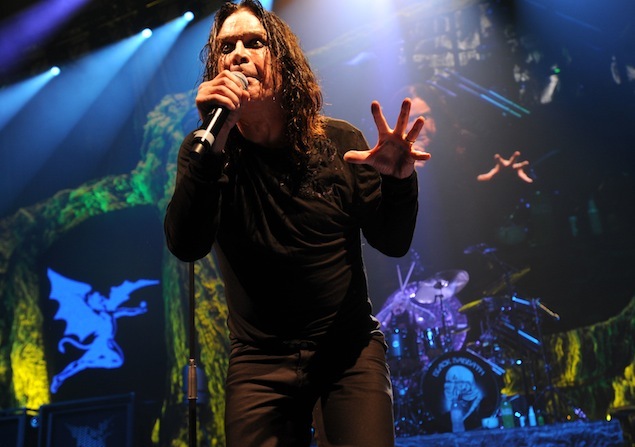 Black Sabbath Delivers a Bloody Good Set, But Will Ozzy’s Voice Survive the Tour? 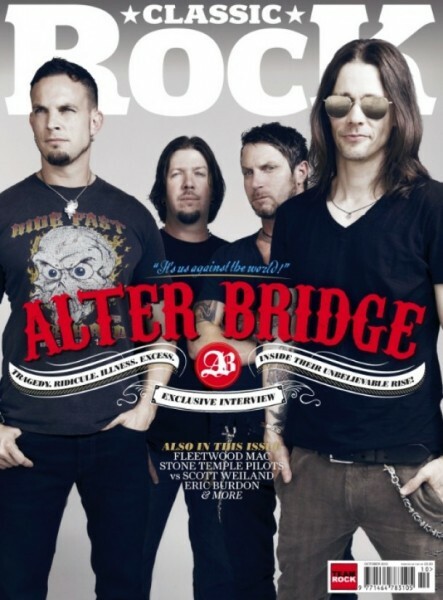 Rock Bible: The UK’s Classic Rock is the best mag of its kind. It’s expensive as an import, but worth every penny. At the risk of being killed in my sleep by Sharon Osbourne’s henchmen, I’m re-posting my Black Sabbath concert review from the Aug. 2013 issue of Classic Rock magazine (right). The published text appears below. And hey, at least I’ll die honest. When Black Sabbath announced their current North American tour was kicking off in Texas, the city of San Antonio had good reason to feel gutted. Long known as a hotbed for heavy metal, San Antonio (aka “Satantonio”) was scrubbed in favor of Austin for reasons that must be logistical. After all, it’s been more than two decades and many gigs later since the Alamo City lifted its Ozzy Osbourne ban following his infamous puddle of piddle. 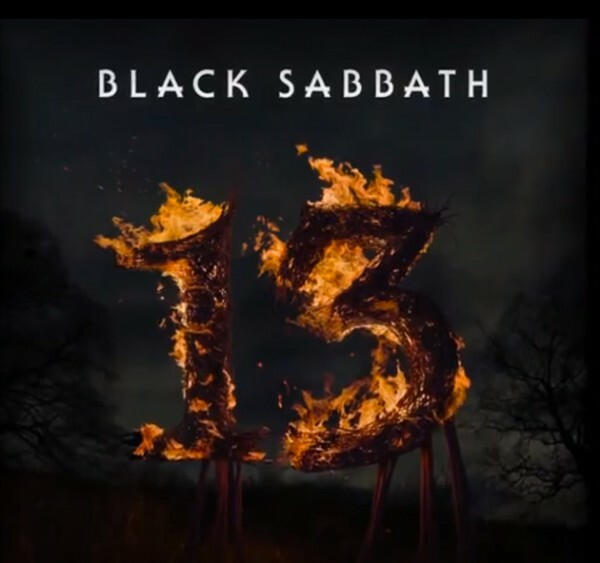 Never Say Die: Thirty-five years after their last album with Ozzy, Black Sabbath released ’13’ to worldwide acclaim. Sabotaged perhaps, but never ones to say die, a good number of San Antonians drove an hour north to Austin where 14,000 strong, including Sharon Osbourne, packed the sold-out Frank Erwin Center to worship a pricey Sabbath (average ticket cost: $115). Promoting their first new Ozzy-fronted album in 35 years (you’ll find it near the top of the charts titled “13”) and with guitarist Tony Iommi’s health casting clouds on the future, this could very well be the last chance to see the (mostly) original lineup unleash their legendary doom and demons. With video screens flashing wartime images of falling bombs and marching soldiers, the song was punctuated with on-command hand-claps and cackling crowd vocals courtesy of the mesmerized black-clad masses. Things were off to a smashing start, but the curse of Oz was around the corner. 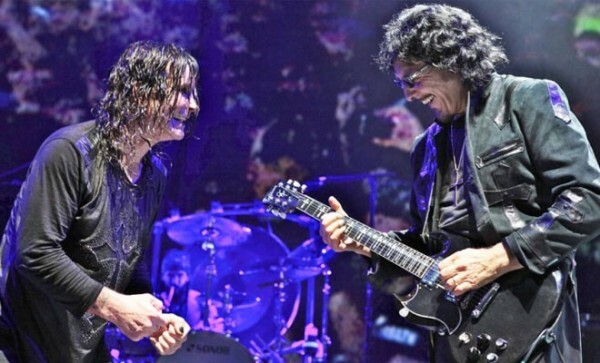 Grin Reapers: Ozzy and Tony Iommi share a laugh while unleashing their musical demons. Entering “Into the Void” against an impressive backdrop that looked like a prehistoric space cavern, the second song of the set pushed Ozzy’s voice off the rails. Way off! Let’s just say it was flatter than asphalt and no amount of Teleprompter was going to locate the proper keys. While Ozzy struggled to find his wind, the band thundered on like a storm. Armed with his trusty Gibson SG guitars, Iommi roamed the stage with his usual reserved demeanor, occasionally cracking a devil-may-care smile to confirm his spirits were high. A battle with cancer and age notwithstanding, Iommi is still the ruling architect of industrial-strength heavy metal. 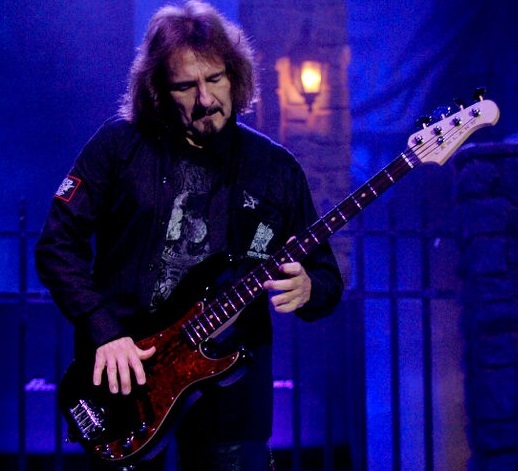 Technical Excellency: On tour promoting ’13,’ Geezer Butler upheld his legacy as one of rock’s greatest bass players. Similarly, Butler brought his usual energetic attack and trademark fleet-fingered throb to help put the boom in Sabath’s cannon. His distorted intro to “N.I.B.” struck a hair-raising balance between quivering fear and unbridled excitement. Evil never sounded so fun. The man most under the microscope, however, was Bill Ward’s replacement, Clufetos. Having kept time in Ozzy’s solo band and also with Rob Zombie and Alice Cooper, Clufetos not only got the job done (including a fairly impressive solo), but he looked like a young Ward to boot. 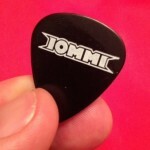 Prized Pick: My front-row souvenir, courtesy of the man who invented heavy metal. Throughout, three overhead video screens projected mildly disturbing (meaning, wholly appropriate) film footage of religious cult rituals, drug use and naughty ladies. Nobody said this was Sunday school. Predictably, Ozzy’s blown voice was the show’s weakest link. He did manage to muster some power here and there (notably during “Children of the Grave”), but it was nowhere near his once-feral yowl. By the time “Paranoid” drove the crowd insane, it was evident the not-so-powerful Oz might need help from behind the curtain if he plans to hold up through the end of the tour.